The practical functions of the library are clearly defined/expressed architecturally through a palette of three main materials glass, terracotta and fibre-cement. 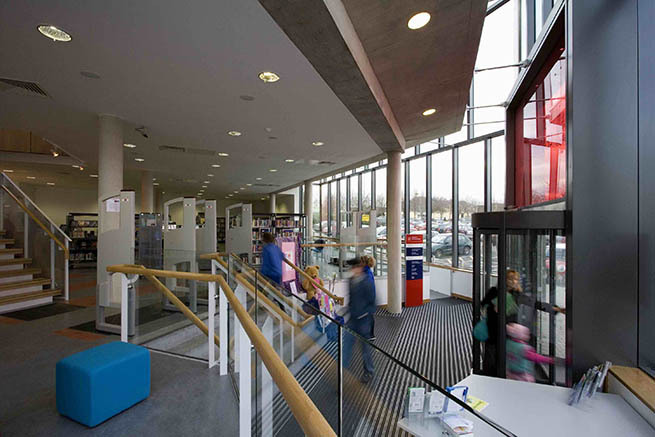 Main entrance is clearly highlighted by red glass incorporating the library logo and the open-plan reading areas are revealed immediately upon entry. 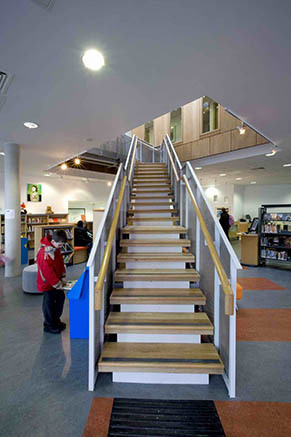 The services/staff areas/stairs/stores are clustered to the rear of the building and stacked vertically to allow maximum openness, flexibility and views for the public areas. 1. 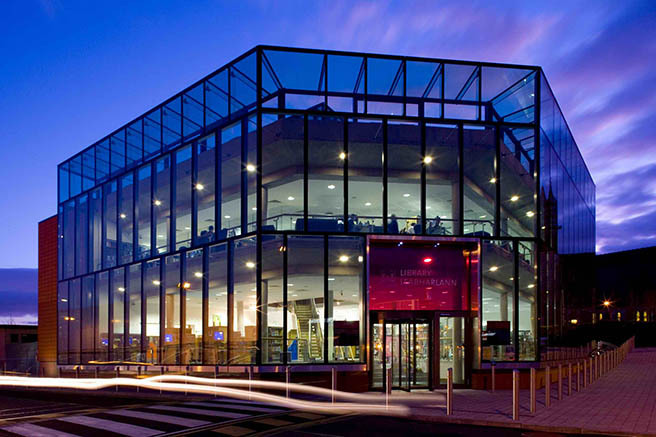 Glass:Triple height glazing to the primary public facade wraps the open plan layout of the main reading areas. 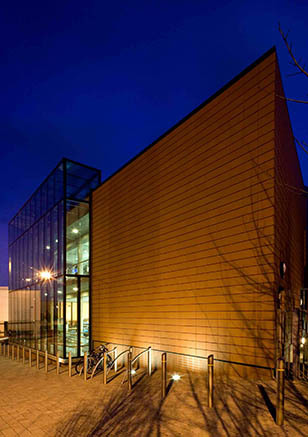 These glazed facades are designed to provide an informal, inviting and accessible character to the building. 2. 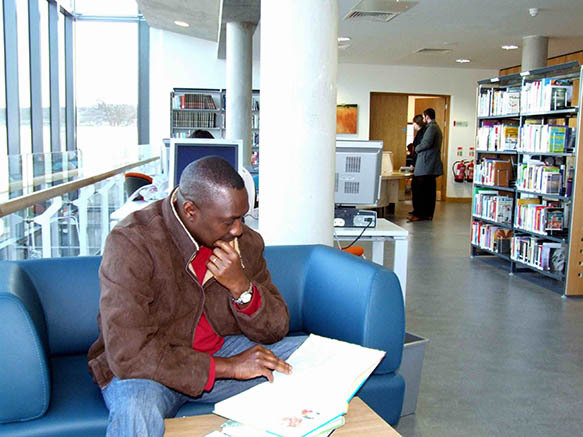 Terracotta tiles: Brightly coloured material clads the group study and multifunction rooms. 3. 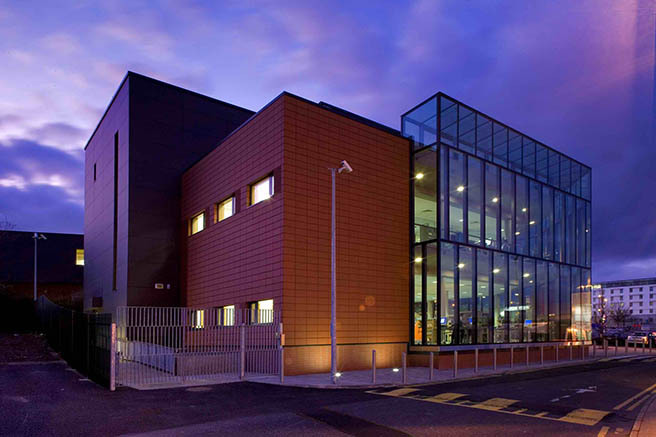 Fibre cement cladding: Slate coloured material defines the services/stairs/stores areas. This colour pallet acknowledges the surrounding brick and slate clad residential community, while the glazed facade provides primarily north light suitable for reading and study. 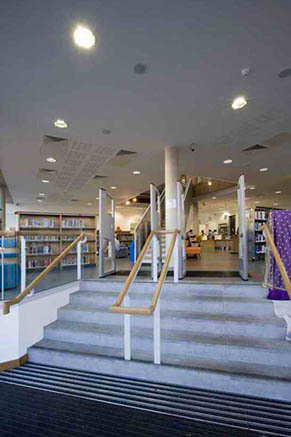 The Library is topped with a glass atrium hovering over the main accommodation stairs and primary circulation area. By day the atrium lights up the heart of the library, at night it acts as an illuminated lantern-like landmark for the Wilton Community. 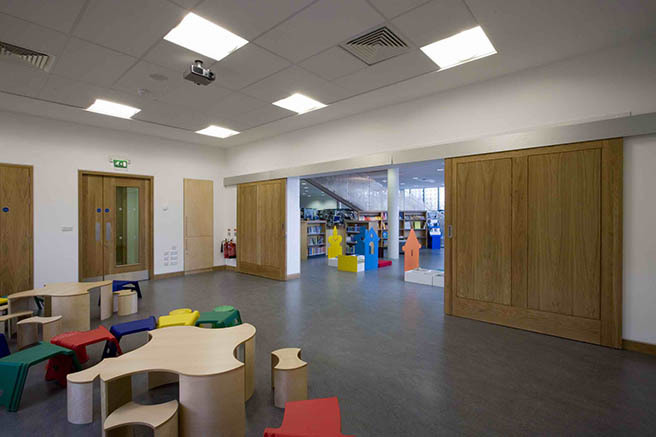 The colour scheme to the internal walls is limited to white walls to allow the books to take visual precedence throughout and allow the copious amount of natural light illuminate the space. The internal doors, linings, skirtings and internal paneling are rich warm natural oak. 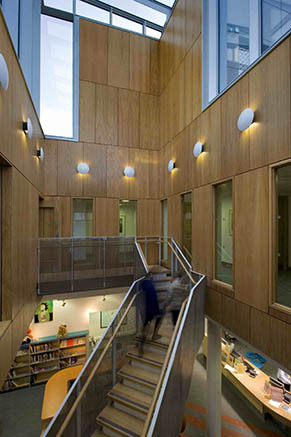 The internal shelving echo the building pallete with use of slate coloured steel frame with oak & glass panels. Longlisted 2007 Public Library Building Awards.